Imagine a deadly racing game – where you are the pedestrian! 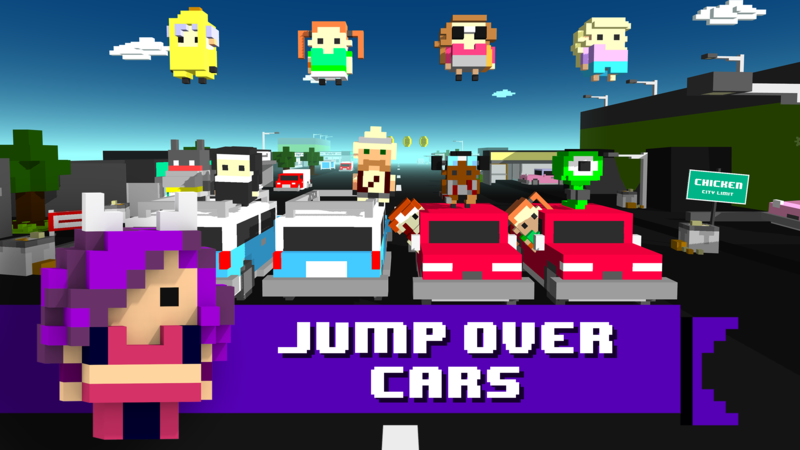 Chicken Jump is an easy to grab and funny party game set in a town like no other, in which residents celebrate by jumping over waves of wacky traffic. 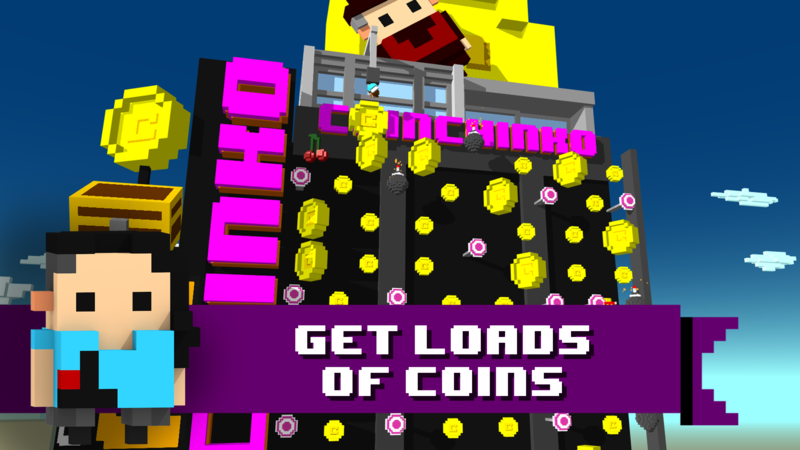 Avoid being crushed as long as you can by jumping at the right time and get the highest score in town to impress your friends! SOLO MODE TO MASTER YOUR SKILLS: experience the jumping festival insanity alone if you dare! 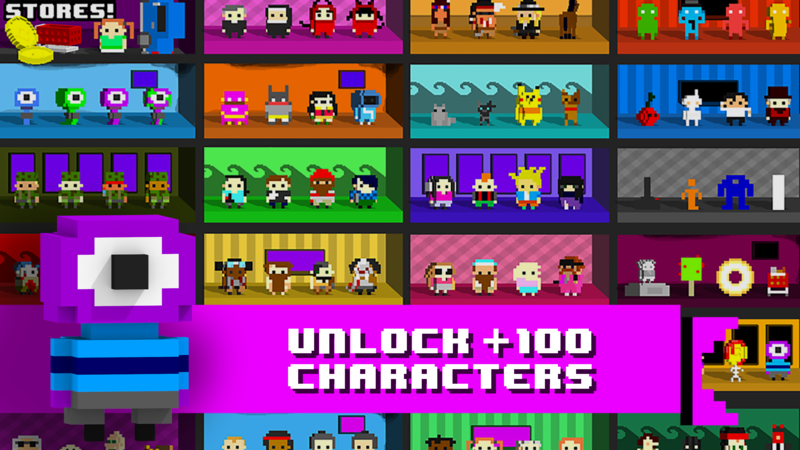 Progress and unlock new content peacefully, undisturbed by your giggling friends. 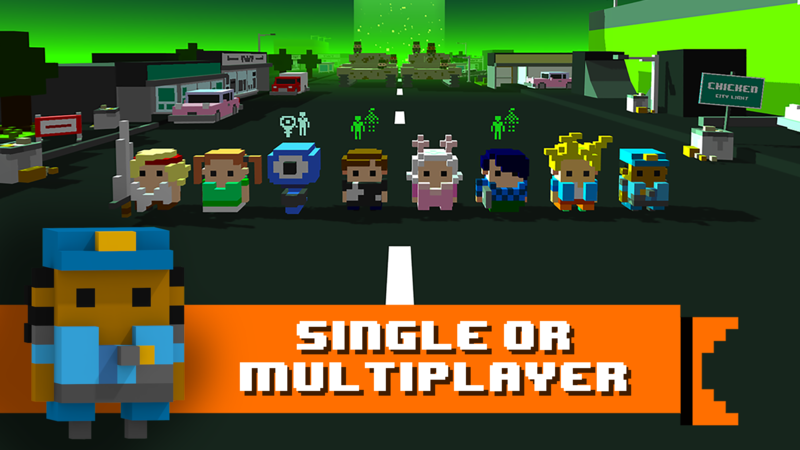 1-8 PLAYER MULTIPLAYER FUN: play with friends on the same screen or try to control as many players as you can by yourself. EMBRACE CHAOS: smiles on faces guaranteed due to carefully designed physics-based-humour-engine AKA pure chaos. MADDENINGLY SIMPLE: one-touch controls make the game very accessible. Get ready to jump, jump and jump again. 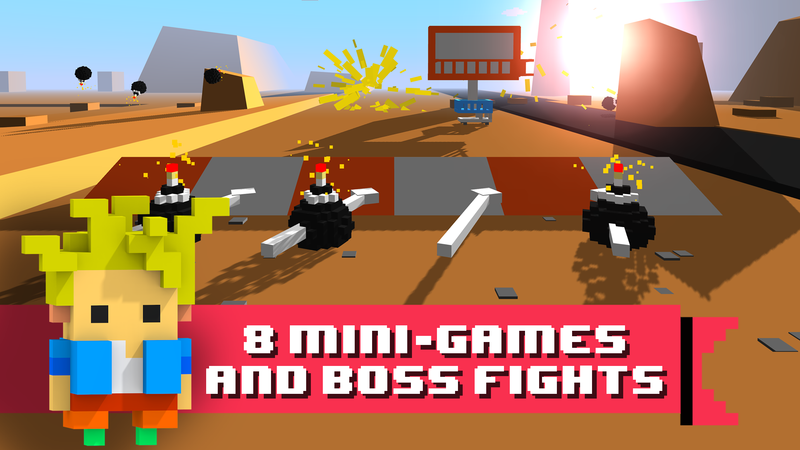 A PARTY GAME FOR EVERYONE: 8 hilarious arcade game modes such as high score and last man standing and many other mini-games to discover. UNLOCK SPECIAL SKILLS AND ENVIRONMENTS: loads of unlockable character classes with different special abilities: police slows down traffic, scientists let you start at higher waves, aliens that alter the scenery and many more. COLLECT CARDS TO INCREASE SKILLS: card mechanic, some classes’ abilities increase – the more characters you have from the same set, the better they become! PLAYED BY MILLIONS AND COUNTING, ENDORSED BY THE GREATEST YOUTUBERS: 25M sessions launched on desktop and PewDiePie’s big smile after being hit by a frenzied car can’t be wrong, Chicken Jump is pure jumping joy! REAL JUMPING: Put your phone in your pocket and jump for real to make your character jump in-game! (Feature exclusive to Apple TV).